What are the newest Bright Colored Sneakers for spring 2012? 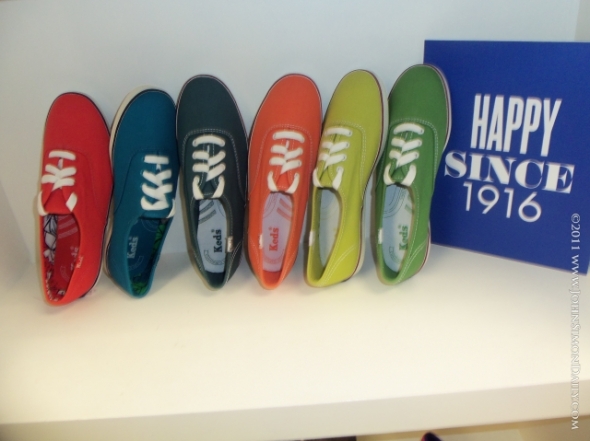 Keds is coming out with some bright and colorful sneakers for the spring 2012 season. Colors like: red, orange, lime green, dark blue, and tons of other great colors. Bright and shiny Keds are all the rage this upcoming season and everyone will be talking about the new Spring Keds collection. Keds have been around for ages, almost 100 years ago, people were sporting their version of the Keds sneaker. The new spring Keds collection will be a throwback to the Keds of yesteryear and bring back a vintage appeal with a modern twist. There are many ways to wear your bright Keds: Pair them with the trend of bright denim this upcoming season. Denim is cropping up in many bright colors; such as red, royal blue and green. There is nothing better than the new bright Keds to pair perfectly with the colored denim. In addition the Keds Company is also coming out with shiny Keds! Yes, you heard that right. Keds sneakers with a twist! Shiny Keds have been spotted in colors such as navy blue, red, white and black; they are patent leather and look very unique. Spotted for the new spring Keds collection, were also printed Keds. There are various prints and color schemes to choose from; the prints are understated and have a vintage feel, almost like a printed dress from the 1960’s. Some are polka dotted and some have stripes; but all the new Keds sneakers have the classic design we all know and expect from Keds. Glitter, did I just say glitter? Yes, glittered and sequined Keds have also been spotted for the new spring 2012 collection. These specific Keds are sans shoelaces and co-designed by Alice + Olivia. The colors are olive green, silver, cream and black. The new spring Keds collection for 2012 is going to be epic. Red sneakers have a long and fulfilling history going back to the turn of the twentieth century. Wait? Turn of the twentieth century? Yes, in fact the humble sneaker has a history as long as your car and longer than many of your most treasured items in your family’s household. Many believe the earliest sneaker, including the red sneaker, go back as far as 1917 to the basketball player, Chuck Taylor’s famous design. However, this is incorrect, the red sneaker goes back even further to as early as 1907, to the invention of vulcanized rubber by Charles Goodyear, almost immediately afterwards companies began producing athletics shoes of various designs and varieties. However, Chuck Taylor can in fact trace red canvas sneakers back to the famous design in 1917, who suggested the canvas sneaks design when he was playing basketball professionally. In 1916, a company called Keds began producing sneakers, one of which was Red Keds. Red Keds in fact were the first to use the term “sneakers” in reference to their shoes’ rubber soles ability to “sneak” around corners. Since then sneakers, including the various red sneakers design have been a staple of teenage fashion. Whether it is for their athletic uses or through the use of various subcultures among teenage fashion populaces, sneakers have become a commonplace sight on many school campuses. Since the 1980s and 1990s teenagers among the “punk” and “Goth” subcultures of teenage students have been wearing sneakers such as Red Keds due to both their simplicity and variety of design. Many famous wearers of red canvas sneakers include Led Zeppelin, Woody Allen, Dustin Hoffman, and more. These have increased the exposure of the sneaker design among the teenage and other populaces in the fashion industry. Leading to their use in the casual shoe industry among followers of fashion trends. Today many teenagers wear them as a symbol of pride and solidarity among their peers. However, red sneakers are still popular in their intended use in the field of athletics. Their rubber soles allow for continuous use on surfaces such as basketball courts and their canvas lining provides an aerated atmosphere for one’s feet to feel comfortable in playing. Ever since that first endorsement sneakers of all kinds have been a staple of basketball and basketball culture among the teenage fashion trends. 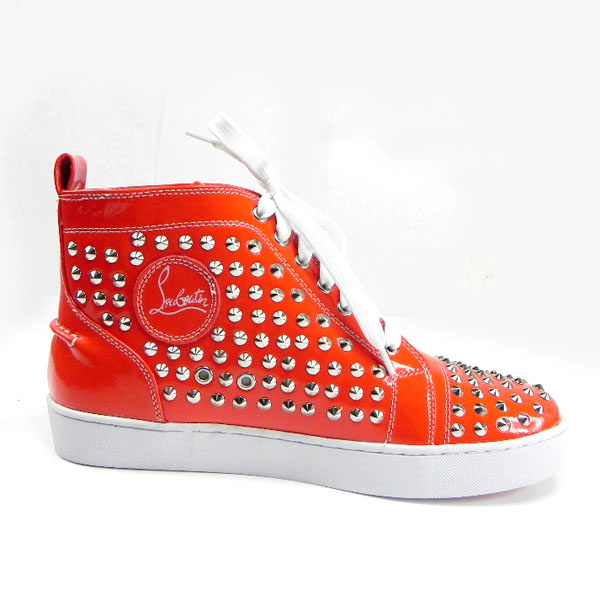 Red sneakers in particular are a particularly fashionable version of the classic red canvas sneaks design. Sports endorsers are bigger and better, increasing the marketing and exposure of these shoes among the athletics fashion populaces. Therefore, whether one wears them for fashion or for practicality a pair of red keds or red canvas sneaks is the way to go for comfort and practicality. Use in both athletics and fashion keeps the sneaker at the forefront of clothing and fashion design and trending. The sneaker has come a long way in our time, and shows every sign of continuing on as strong as ever, and those original designs are still with us to this day. Guess has built a solid reputation for itself as a brand that is always on the forefront of all the latest trends, providing the audience with a unique compromise between style and quality. On their 2012’s spring / summer new line of shoes, Guess took the concept of the sneaker to the next level, their own personal twist, to provide a stunning range of models featuring the looks and edgy elegance you could expect from a worldwide renewed fashion brand, combined with the ease and comfort of a sport shoe. From the rubber soils to the skin and laces, every single bit of construction material has been handpicked by the skilled staff of designers at Guess, to provide a really solid and reliable shoe, perfect for every day use. Sneakers have always been the favorite shoe of women (and not only) all over the globe: A staple item for whoever prefers comfort and simplicity over striking looks. However the vision of the sneakers as sport tools is really outdated and Guess knows how to spice up their models delivering straight-forwardness and fresh style in equal doses! 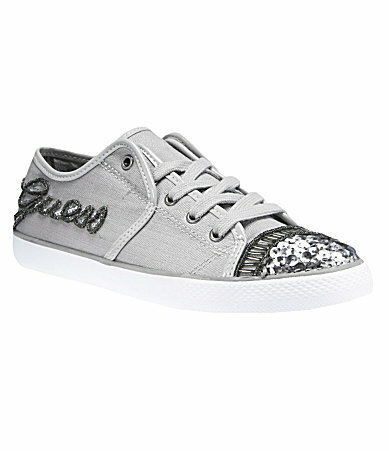 The Guess women sneakers come in a great selection of models and colors, to match your style, mood and personality! As spring fast approaches, women are searching for the top sneaker trends that will set the fashion scene for the upcoming seasons of the year. Catching these trends as they develop will keep them alert for the cool sneaker designs for school and work as well as getting good sneaker reviews which can separate the solid, durable brands from the lesser ones. The upcoming trends cover teenage girls sneakers as well as women sneaker trends. What is certainly true about this year is that the trends we saw last fall will continue in some fashion as a relatively warm winter in the US is quickly leading to an early spring. Sneakers however, are always highly popular whether going for the athletic look or for those who want more casual fare. However, there are strong indications that a large part of the top 10 sneakers for girls and women will reflect a brighter, more colorful look which is indicative of changing times. Hotness: Bright, bold colors from the new Gucci collection of sneakers marks not so much a turning point, but a continuation of a trend that began last fall. Perhaps due to more positive indicators in the national economy along with a Presidential election, the feeling of change is in the air and with that comes styles that are generally more attention getting. Ultra-High Tops: The high top sneaker comes in and out of favor over the years. What was once popular in the mid-1950’s has had its share of peaks and valleys since. However, a new type of ultra-high top sneaker which goes way beyond the ankle is currently making a statement on the fashion scene. This could be a trend to jump onto, especially in the early spring and then early fall when the weather begins to change. Exotic Prints: If the recent Oscar Awards ceremony is any indication, bold is back in both colors and new prints that help grab attention and augment the sneaker look. Thanks to advancing technology an entire new line of exotic prints decorate sneakers today and that trend only looks to get stronger in the near future. Tie-Offs: Some brands of new high tops feature a single, larger string to tie off the top of the sneaker. This adds more personality and uniqueness to the sneaker design itself as teenagers can add their own style and accoutrements to this larger fabric strand which ties off the top of the sneaker. Glitter: It seems that glitter is in style every spring season, probably because escaping the doldrums of winter brings out the glitter in all of us, especially with the trend heading towards brighter, bolder colors. Unique glitter patterns and accessories will augment women’s sneakers for the near future as is common with this seasonal trend. Exotic, bright colors enhanced by larger sneaker designs such as the ultra-high tops will set the trends for the spring season. Take advantage by shopping at your favorite online sneaker store and order your pair quickly to take advantage of the warm weather!